Wasn’t it just Friday, like, five minutes ago?! That’s how I feel today, but isn’t that always the case when you’re trying to get ready to go out of town. Thank you so much for weighing in on all the outfits– it actually really helped! I’ll show you on Wednesday everything I’m bringing and see what you think. And of course now, I’m getting all those sad feelings about leaving the kids- espeically Jordan since she’s still just such a little baby! And she’s at that stage where she wants to be wherever I am. Happy Halloween friends! Are you getting all dolled up or is that just for the kids? My little guy will be a Star Wars Stormtrooper, but we are expecting a major rainfall, so we might just have a little party inside. 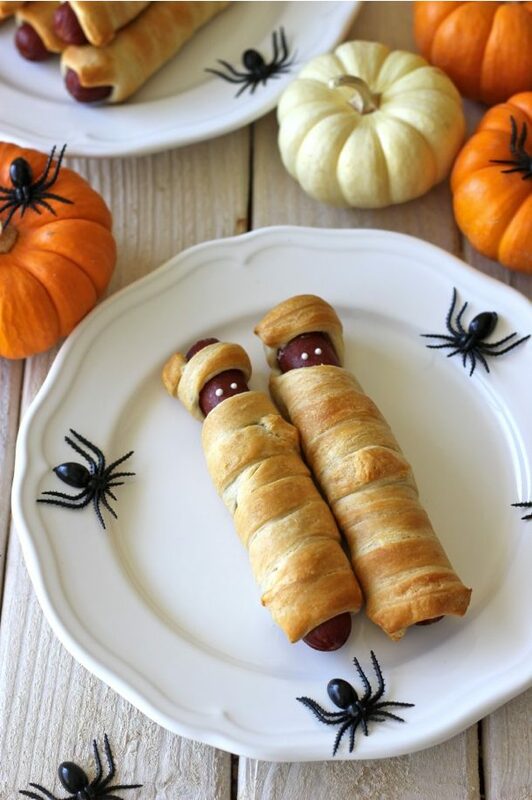 I got a few goodies, some black and orange balloons, a scavenger hunt skeleton and I’ll be making these fun Mummy Hotdogs. I put up a tiny bit of Halloween decorating this year, which is more than I can say for the last three years combined. But, I’ve had this giant spider forever (in anticipation of decorating for Halloween that never happens) and I felt like he finally needed to be showcased somewhere. The webbing was found in the grocery store Halloween aisle for a couple bucks and is just pinned to the wall. The end of the year is almost upon us! Who else is surprised that tomorrow is October? Here in Houston, we are anxiously awaiting that first cool front, and our temperatures are expected to drop 10 degrees this weekend! As a kid, I remember going to the pumpkin patch this time of year with my family and picking out the perfect pumpkin and coming home and carving it with my Dad. He would carefully cut the top off in a perfect circle and my brothers and I would dig out the guts and seeds. Gooey goodness. I hope y’all had a great Halloween. 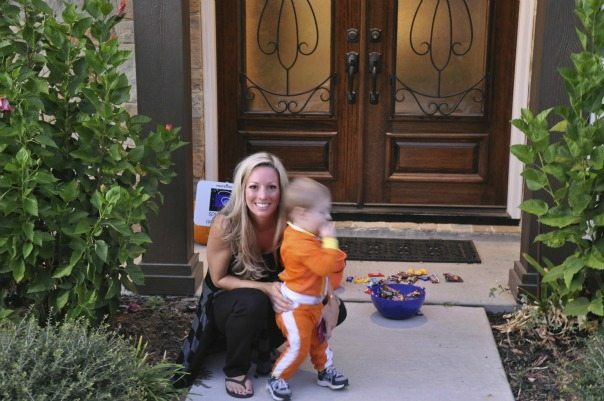 We ended up trick-or-treating with our new neighbors who have a daughter James’ age. Our little DJ Lance wouldn’t wear the hat and the glasses were too big- oh, well! This was the only picture we got together- he’s so busy! I hope you had a great time too. And I’ll be bringing the leftover candy to the office tomorrow! I know, I know . 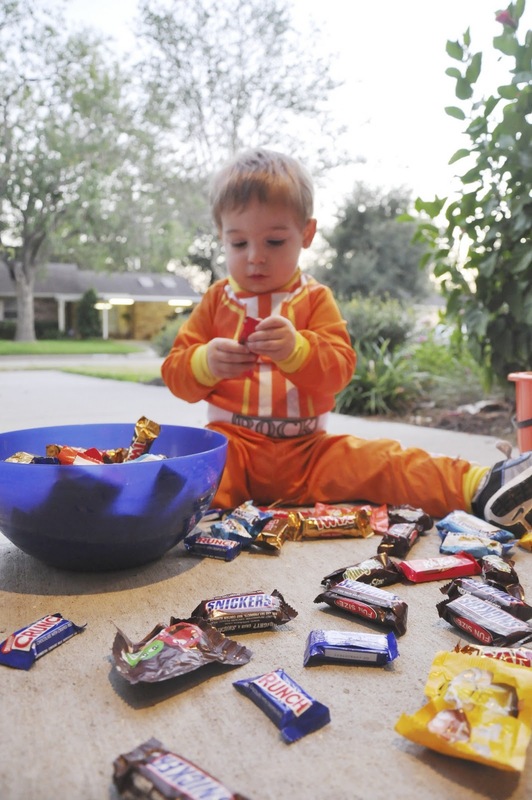 . . it’s too early for Halloween, but it’s never too early to see adorable babies! 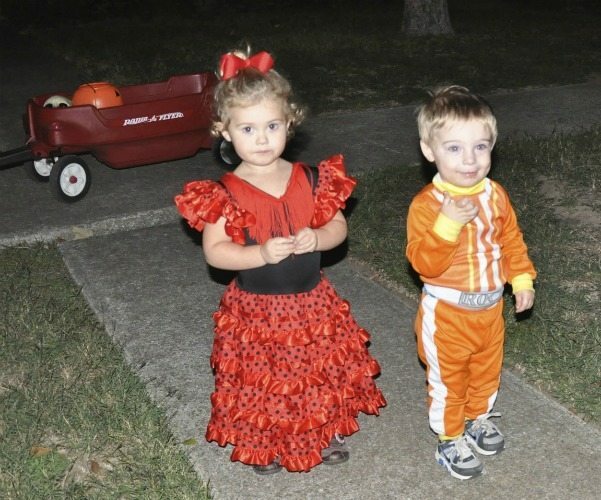 Seriously, they are the cutest in their little costumes! I was going nuts over these photos yesterday. Just the sweetest. 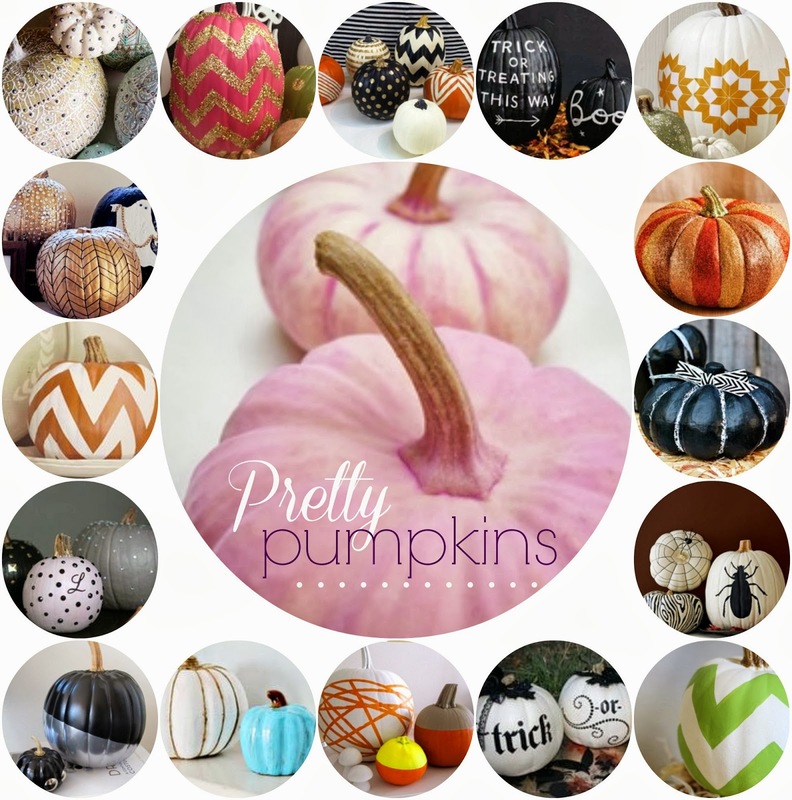 I’m DYING over the sweet pea and the little guy so excited to be a pumpkin! *First 8 images are from Pottery Barn Kids. Holy cow, that baby is just so cute I could melt!